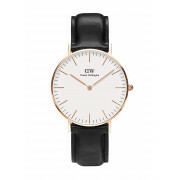 This elegant Classic Sheffield watch by Daniel Wellington features a genuine leather black strap, which is also interchangeable with other straps from the collection. 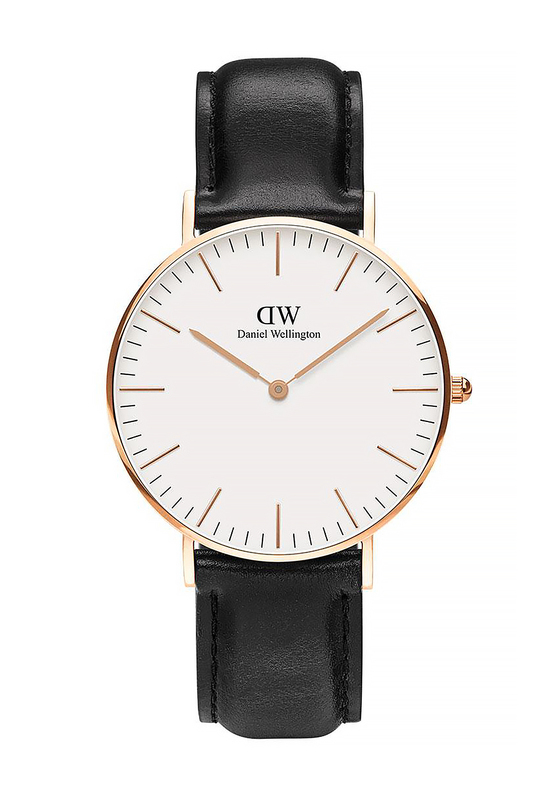 This watch combines a classic white face with modern rose gold casing. Designed with timeless elegance in mind, this is the perfect versatile watch to go with a dressed up or a more casual look.